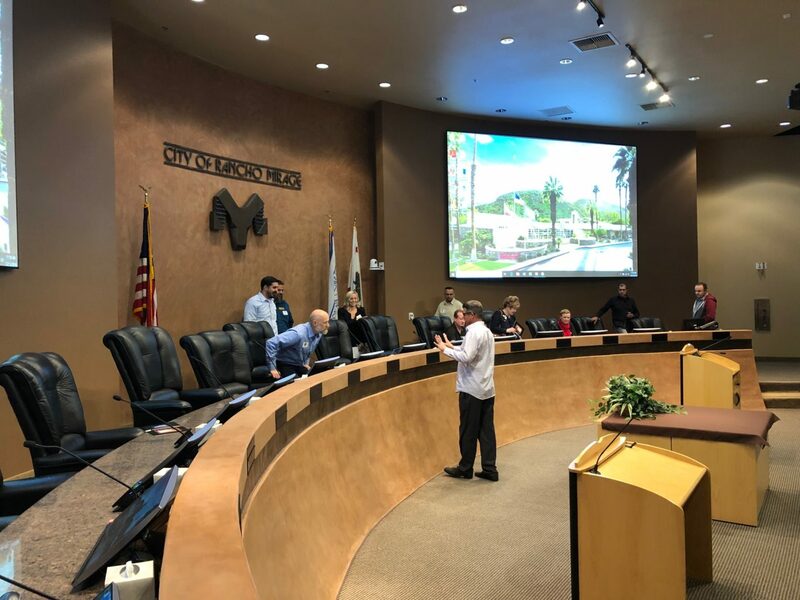 Western Audio Visual (WAV) recently completed a design build project for the City of Rancho Mirage – Council Chamber. 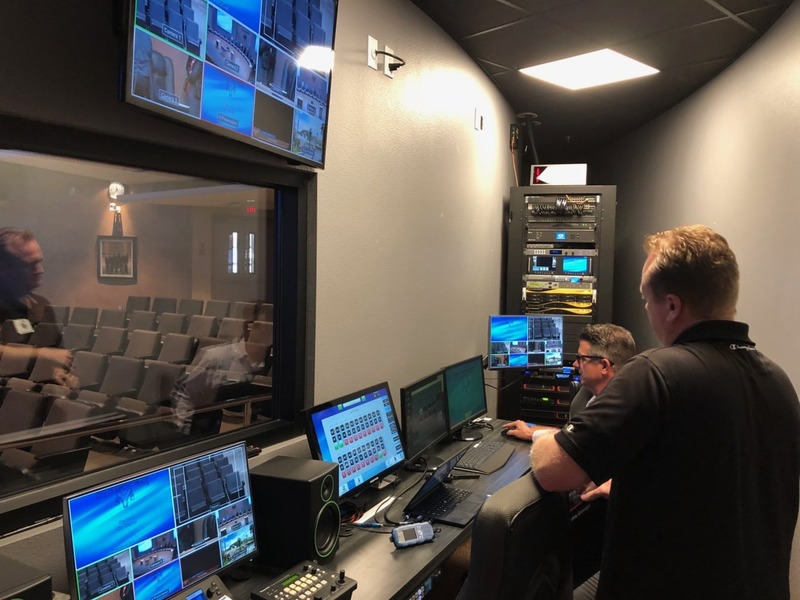 Once we complete a project, we work with the client to host a Technology Showcase Experience Tour in order to feature the new or upgraded audio visual system. 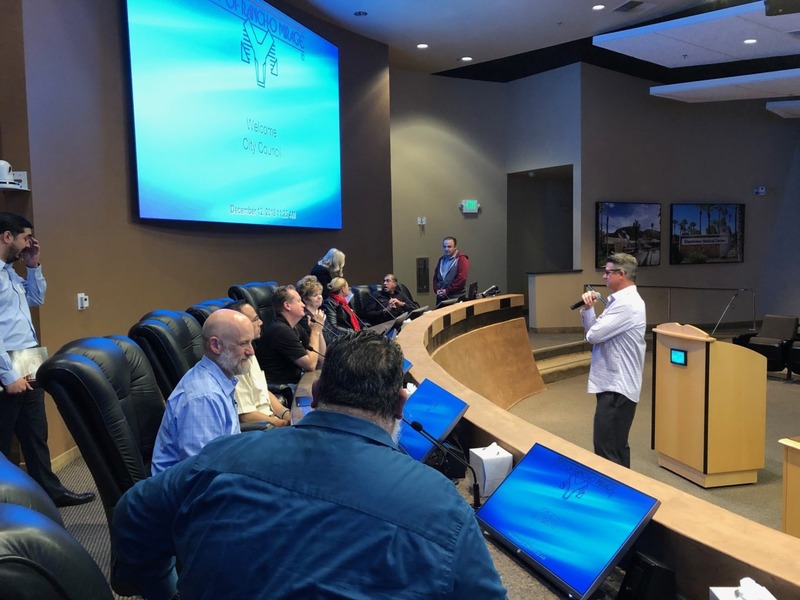 We then invite the neighboring cities and municipalities to give them the opportunity to view a recently upgraded or newly integrated audio-visual system. Furthermore, we want to give attendees the opportunity to ask questions in a relaxed environment to the WAV team, as well as the City staff hosting the tour. 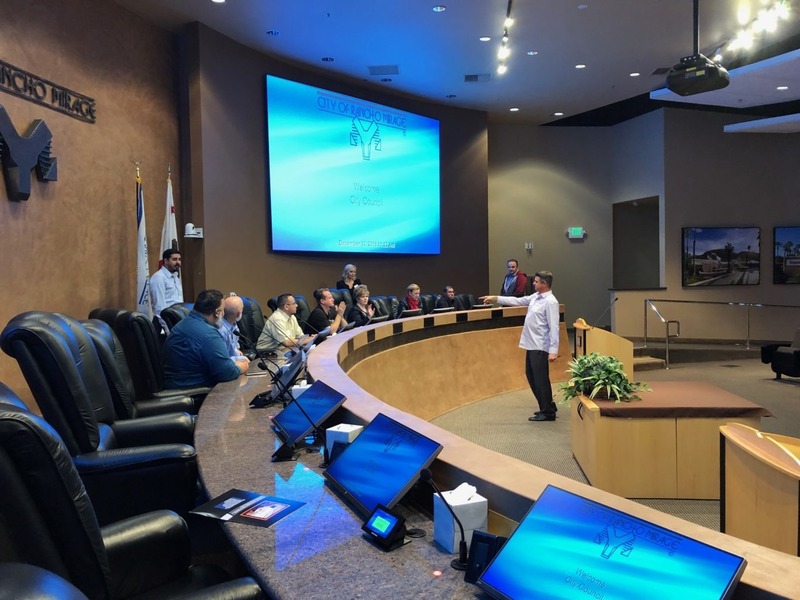 The questions can cover why specific products were used, how the City selected Western Audio Visual as their integrator, or how long it took the City to budget for this project. 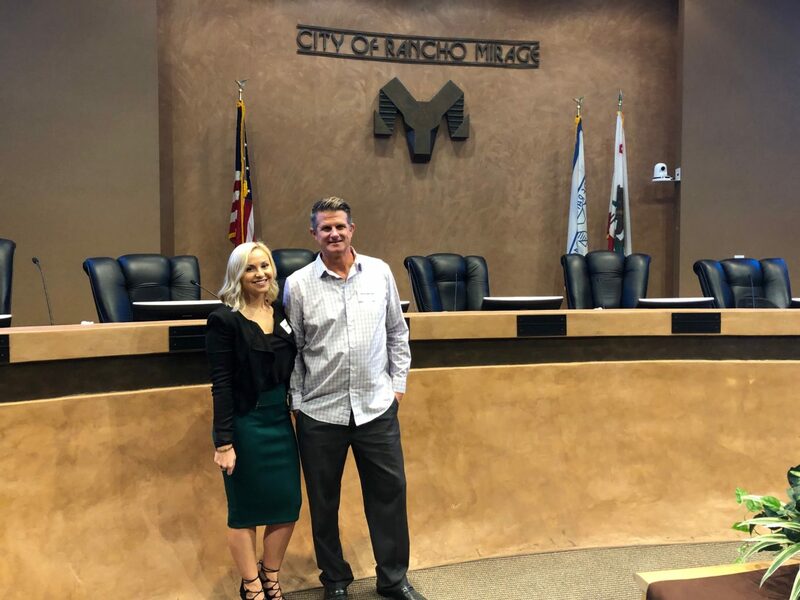 For the City of Rancho Mirage Technology Showcase Experience Tour, the WAV team included Erik Wilson, Head of Engineering, Hailey Schellin, Account Executive, and members of our Sales & Marketing team. The tour began with introductions by Hailey and then transitioned into Erik reviewing our approach on the design-build of this project. Erik provides in depth analysis of each sub-system and reviews why specific products were used over others. The guests were invited to sit at the dais for a hands-on experience of the technology installed at each position. The guests were able to demo the custom voting system that was designed by WAV. The guests then migrated to the renovated control room to see an example of the operational flow of a council meeting. This can give our guests inspiration for future projects and keeps them aware of technology that is currently available. At the conclusion of each tour, guests are given another opportunity to ask any additional questions they may have. WAV also provides complimentary lunch to all the attendees. 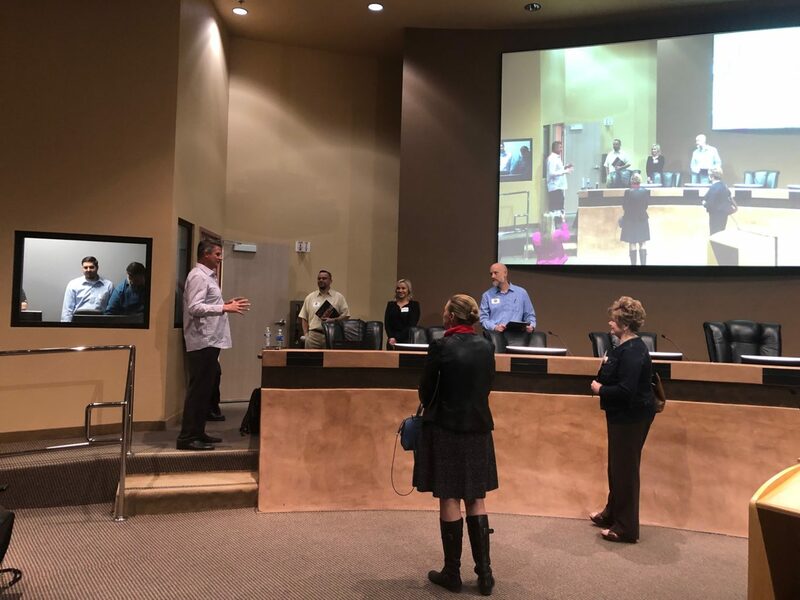 A few reasons why we host the Technology Showcase Experience Tours is to not only provide information, but be a resource as well, for cities and municipalities that may have little guidance on where to begin. We act as a resource by offering suggestions on what qualifications to look for when selecting a design-build integrator to make sure that their project will go as smooth as possible. At WAV, we do our best to take the vision from the client and create a reality for them. We do our best to accommodate the needs of our client and make sure that the solution includes the features they need most. We want each client to feel comfortable with their new system and create each system as user friendly as possible. If you would like to make sure you receive an invite to the next Technology Showcase Experience Tour, please contact Hailey Schellin at haileys@wav1.com.